Dig Deeper Into The Nature Of Scorpio! Scorpios seem to be wearing an armor of anger and pride to defend themselves from the outside world.  While being truly scary in anger, Scorpios are very protective and give higher priority to the needs of the people they love. Your vulnerable nature, swift to take offense, stands in your way of showing your bright personality. Famous for their mysteriousness, Scorpios often have secret hobbies. Unless you let your guard down, people won’t know that you are a knitting guru or an excellent archer. Scorpios also have a soft spot for music. Who knows, bathroom singing may be your secret hobby.